Why do the families at Fairvue Plantation feel they have a special ? It is because they share one thing in common and that is they live in Nashville’s only Lakeside Country Club Community. The setting for their homes is a combination of two beautiful lakefront golf courses, waterfront homes, homesites, and condominiums. We know you are familiar with the nearby Gallatin and Hendersonville neighborhoods. 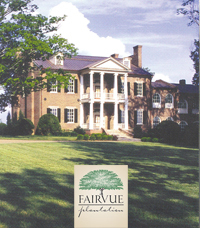 Fairvue Plantation shares the beautiful Sumner County countryside with them. If you have visited or live in Nashville’s Belle Meade, Franklin, Brentwood, or Williamson County suburbs, then you will quickly notice that Fairview Plantation offers a sporting leisure lifestyle that cannot be matched. If you are considering a home that is more suited to the lifestyle you want to live and share, or if you are relocating to beautiful Tennessee or it’s surrounding areas, then do not overlook Fairvue Plantation.